CyberGhost VPN vs Hotspot Shield vs CyberGhost VPN vs Hotspot Shield 2019 - 5 Tests, 1 Winner! CyberGhost VPN and Hotspot Shield both offer users a range of great features and benefits, however, their approaches to privacy are very different. While CyberGhost has a strict no logging policy, Hotspot Shield has been the subject of an investigation into its data collection methods and is recognized as keeping partial logs. When it comes to how secure your connections are, CyberGhost offers military grade 256-bit AES encryption, IP and DNS leak protection, and a kill switch. Hotspot Shield does not offer a kill switch and its encryption is either 256-bit or 128-bit AES depending on the operating system you are using. It does however, run OpenVPN, which is more stable and secure than either PPTP or LT2P. While Hotspot Shield does have more server locations than CyberGhost at the current time, CyberGhost boast around five times more servers. CyberGhost also offers users two more simultaneous connections per license than Hotspot Shield, with seven to its five. CyberGhost is a reliable high-speed VPN with military-grade security features. It operates 3,500+ servers across 60 countries and offers optimized servers for torrenting and most streaming services. Let’s take an in-depth look at its features and policies to find out if this is the best VPN for you. Service is great Fast, easy to use, never a problem with Cyberghost! I like the drop down selection so that you can choose which location you would like to be connected to. I consider this the best money I have ever spent on an app. CyberGhost VPN has the greater number of servers, offers greater security with a kill switch, IP and DNS leak protection, and 256-bit AES encryption throughout. Both offer fast and reliable connections with unlimited bandwidth and can be used on all major operating systems. Both offer a 45-day money-back guarantee. CyberGhost and Hotspot Shield can both be used to access geo-restricted content, including Netflix, however, CyberGhost does run into problems with BBC iPlayer. Hotspot Shield’s users benefit from the vendors Catapult Hydra data compression technology; however, these need to be weighed against its logging policies and previous investigations into its use of data. You can get CyberGhost for a great price if you use one of these coupon codes. Best VPNs for Torrents CyberGhost allows torrenting across specific servers and is registered in Romania, which does not have very strict censorship or surveillance laws currently. Hotspot Shield does not allow torrenting / P2P on any of its servers. CyberGhost allows torrenting across specific servers and is registered in Romania, which does not have very strict censorship or surveillance laws currently. Hotspot Shield does not allow torrenting / P2P on any of its servers. Best VPNs for Windows Both CyberGhost and Hotspot Shield work well with the Windows operating system and offer easy to download and install apps. Both offer unlimited bandwidth and stable connections. CyberGhost’s technology allows users to connect to the best server for their needs by setting up a distinct profile based on their main reason for using a VPN. Hotspot Shield users benefit from faster speeds through the use of Catapult Hydra technology. However, Hotspot Shield users have no live chat customer services option and user guides provided on the website are unclear. Both CyberGhost and Hotspot Shield work well with the Windows operating system and offer easy to download and install apps. Both offer unlimited bandwidth and stable connections. 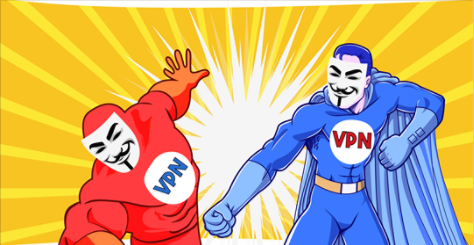 CyberGhost’s technology allows users to connect to the best server for their needs by setting up a distinct profile based on their main reason for using a VPN. Hotspot Shield users benefit from faster speeds through the use of Catapult Hydra technology. However, Hotspot Shield users have no live chat customer services option and user guides provided on the website are unclear. Best VPNs for Android Both services work on Android and the app from Hotspot Shield allows users to automatically connect to a proxy browser. CyberGhost’s users benefit from excellent speeds, military grade encryption, and a 7-day free trial on this operating system. Both services work on Android and the app from Hotspot Shield allows users to automatically connect to a proxy browser. CyberGhost’s users benefit from excellent speeds, military grade encryption, and a 7-day free trial on this operating system. Best VPNs for Mac CyberGhost and Hotspot shield both offer apps for the Mac operating system. Both offer fast connection speeds and Hotspot Shield users have the additional benefit of Catapult Hydra technology to improve the speeds they can achieve. CyberGhost users, however, benefit from better security, strict no logging policies, and better customer services. CyberGhost and Hotspot shield both offer apps for the Mac operating system. Both offer fast connection speeds and Hotspot Shield users have the additional benefit of Catapult Hydra technology to improve the speeds they can achieve. CyberGhost users, however, benefit from better security, strict no logging policies, and better customer services. Best VPNs for iOS Both vendors provide native apps for iOS that are simple to set up and use. CyberGhost users have the additional benefit of a 7-day free trial for this operating system. Both vendors provide native apps for iOS that are simple to set up and use. CyberGhost users have the additional benefit of a 7-day free trial for this operating system. Best VPNs for USA Both vendors have servers throughout the USA and both are able to bypass geo-restrictions to stream content, including US Netflix. However, CyberGhost users have the additional benefit of strict no logging policies and DNS leak protection. Both vendors have servers throughout the USA and both are able to bypass geo-restrictions to stream content, including US Netflix. However, CyberGhost users have the additional benefit of strict no logging policies and DNS leak protection. Both vendors offer fast speeds, stable connections, and easy to use apps for all major operating systems. However, CyberGhost offers the better security with 256-bit AES encryption, an automatic kill switch, strict no logging policy, and IP and DNS leak protection. Combined with its superior customer services approach, including live chat options and easy to follow guides, it is the clear winner between the two vendors. Fast, easy to use, never a problem with Cyberghost! I like the drop down selection so that you can choose which location you would like to be connected to. I consider this the best money I have ever spent on an app. CyberGhost is a high-end VPN that’s packed with features. It is incredibly easy to install and configure. This alone makes it perfect for beginners. It passed most of my tests. Aside from being easy-to-use, it’s also lightning fast and user-friendly. When I connected to a local server, it even increased my connection speed. Unfortunately, I was very disappointed in its customer service. If you’re looking to invest in a VPN for streaming, torrenting, or browsing, CyberGhost might be your perfect match.